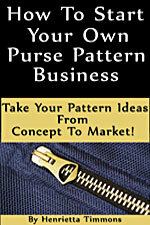 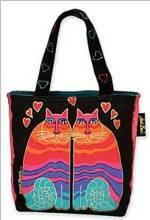 Second Heaven Handbag Pattern - Retail $10 [EP108] : Wholesale Purse Patterns, Purse Patterns at wholesale prices for quilting shops, craft stores, and fabric shops. 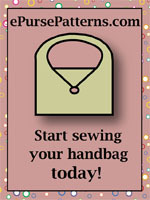 The Second Heaven Handbag Pattern by Eazy Peazy Quilts uses Texture Magic to given a unique texture to your fabric. 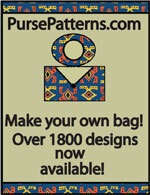 There are instructions for double handles and this pattern is easy to make. 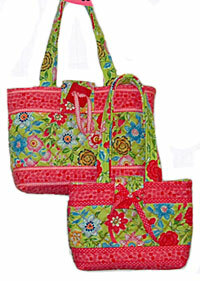 Finished size is 8 inches H x 11 inches W x 4 inches D. Full size pattern pieces are not included.